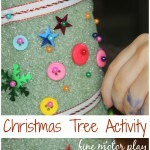 Cookie Cutter Christmas Play Dough Fine Motor Activity! The other day I needed something quick to throw together for an activity. 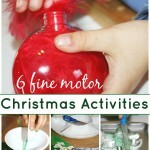 I wanted him to work on his fine motor skills but have an invitation to play afterwards! 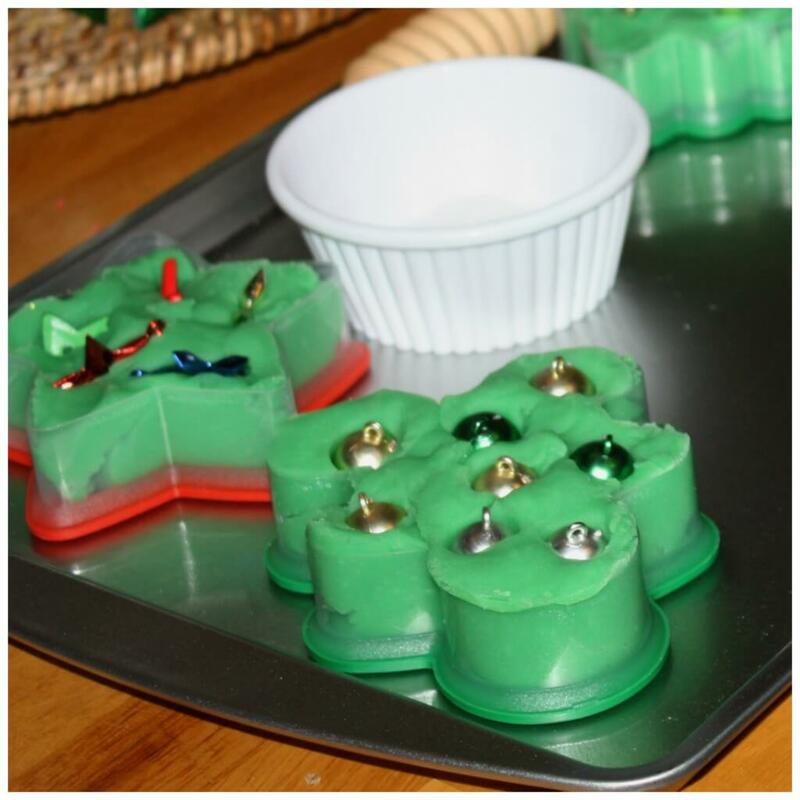 I grabbed our cookie cutters and a cookie sheet, our green play dough and little ornaments, buttons and beads from our sensory bin and set up a cute little Christmas play dough activity tray! 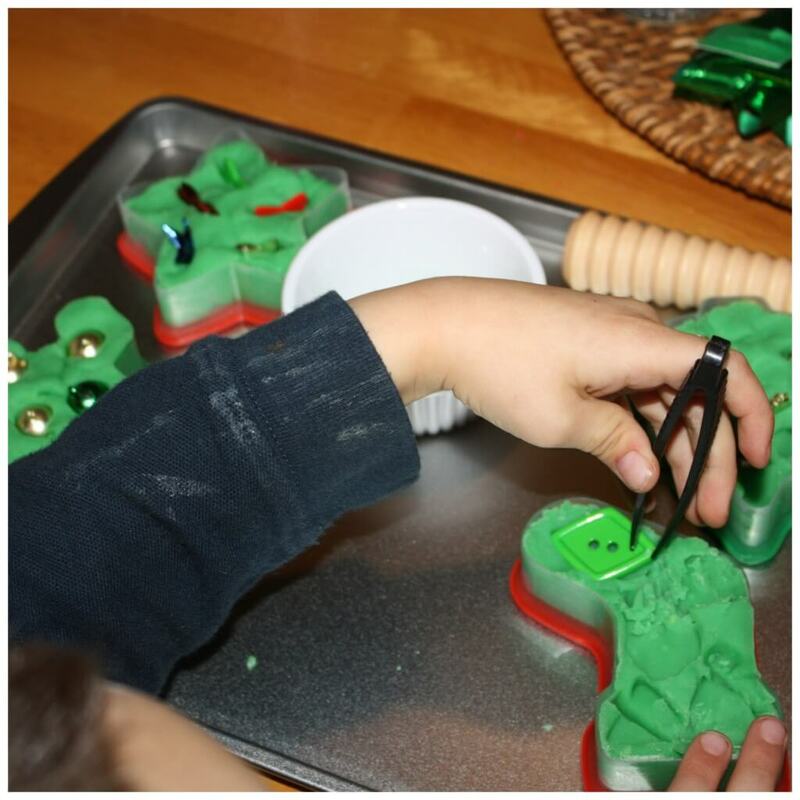 I simply smooshed play dough into the cookie cutters arranged on a cookie tray (dollar store finds)! 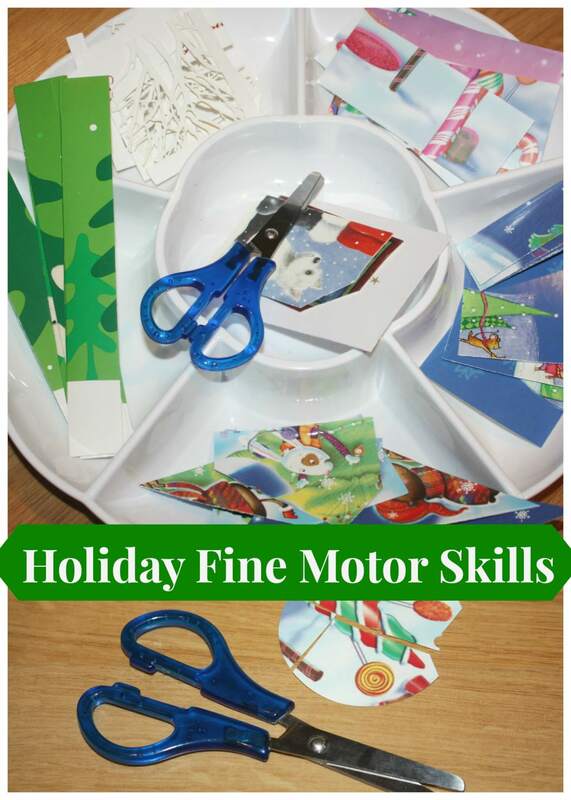 I added all sorts of little items to each cookie cutter. also, I placed a small container , a set of tongs, a set of tweezers and a rolling-pin on the tray. I showed him the object of the tray and he set about pulling out the items and trying out the tongs and tweezers. He found the tongs worked better than the tweezers for some things and vice versa! 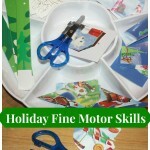 Play dough is a great tool for fine motor skills. 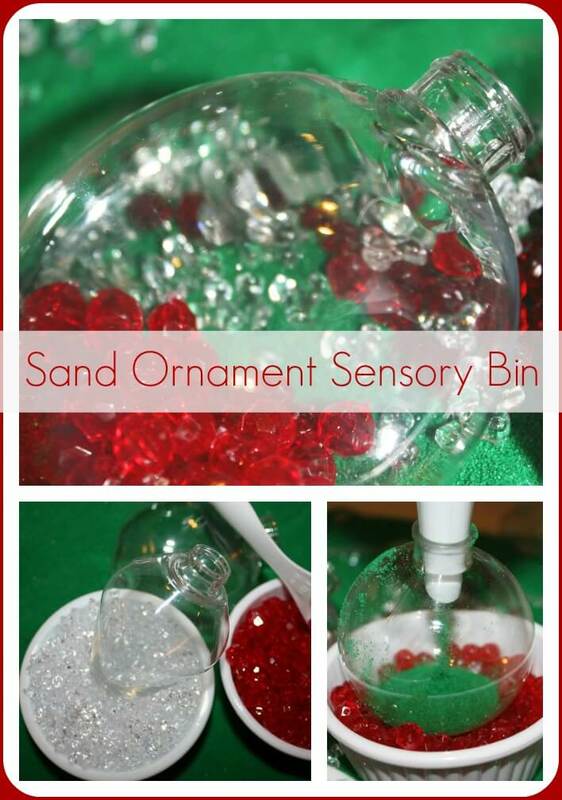 Whether you are hiding things or just manipulating it with your hands, it provides great muscle strengthening work and is a fun sensory experience too! Once Liam had found all the items, I encouraged him to do some free play with the play dough. 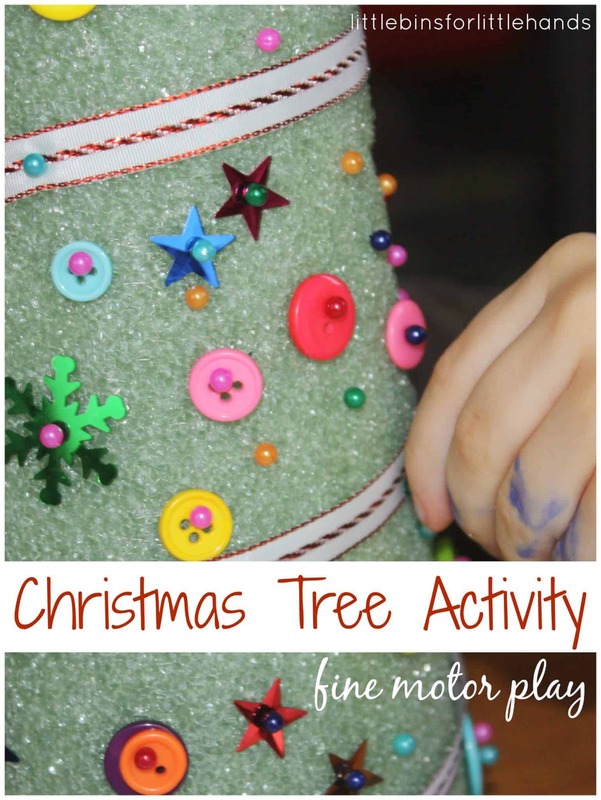 There are so many ways you could go about free play with this type of activity. 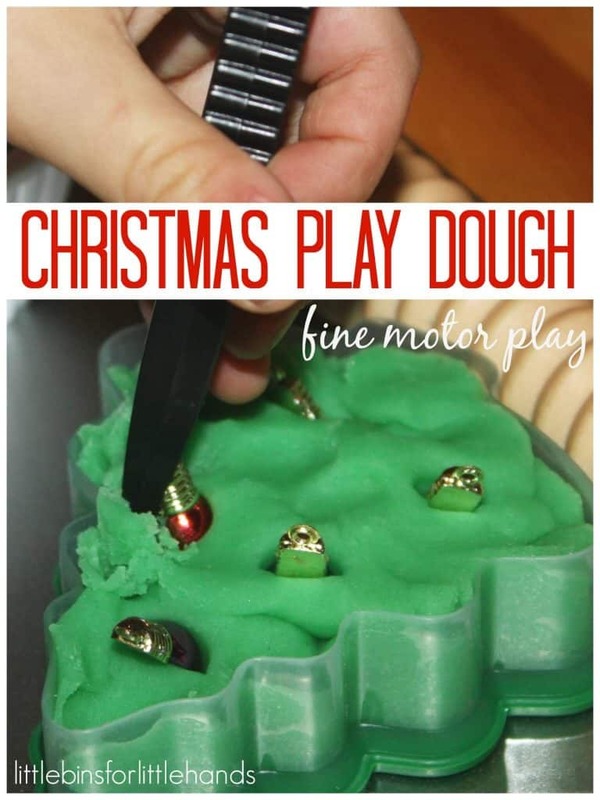 Simply rolling the dough and cutting out shapes with the cookie cutters is a great idea. 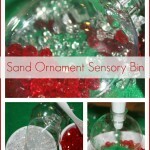 Decorating shapes with the buttons and beads is another. 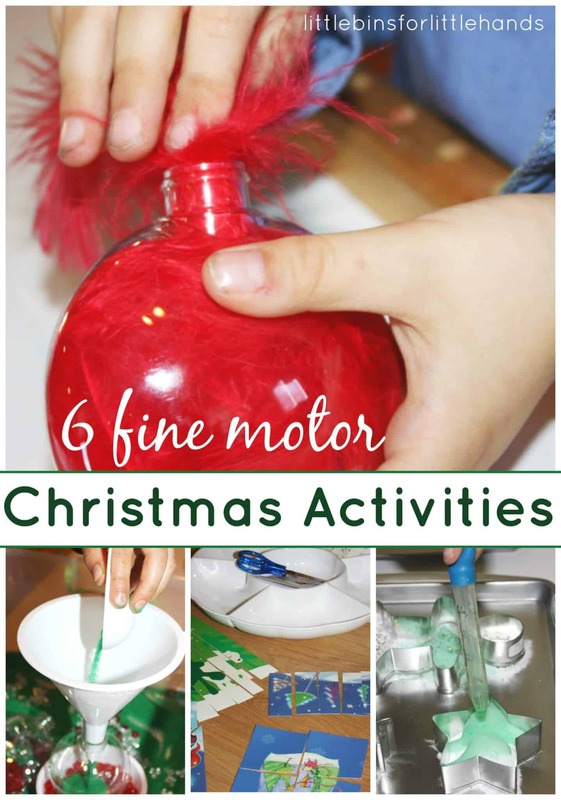 Christmas play dough fine motor play makes a great quick activity!